Since I’ve owned Audis, I noticed the color of the coolant is not green but orange. My 2008 Q7 has purple pink color instead of orange as my older ones. 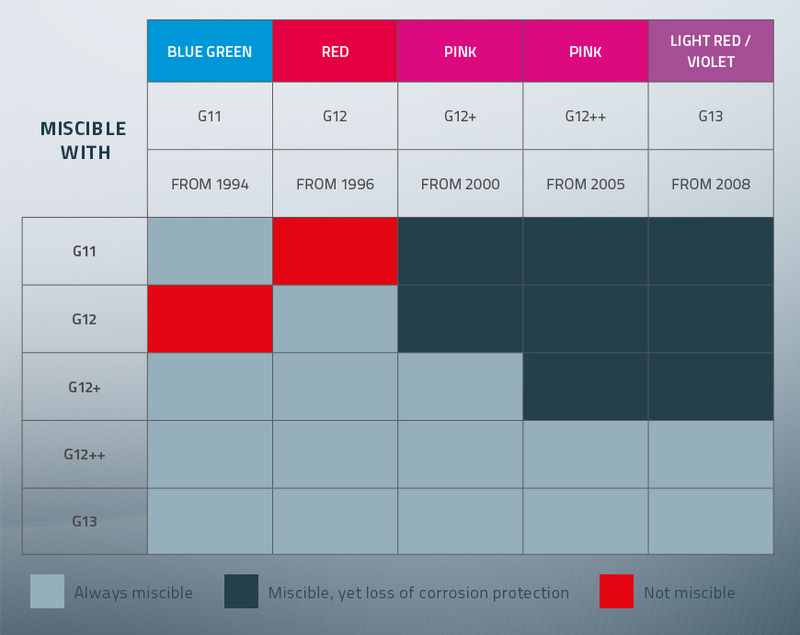 These 2 coolant colors areG12 (A8 D3) and G13 (Q7). All Audis before 2008 use G12 (Orange/Red) and after 2008 G13 (Purple/Pink). The main difference between these 2 from the normal Green Color sold in the stores is they’re made for aluminum engines and NO Phosphate and Silicate. Since I don’t change coolants on my car, only add little when needed, instead of buying the expensive original G12 or G13 from the dealers, I use dex-cool coolant for G12 and Audi/VW G13 online. The newer G13 has silicate additives for Aluminum, Cast Iron and Magnesium Alloys Radiators unlike G12 without silicate which is good for Copper/Brass Radiators and Heater Cores.